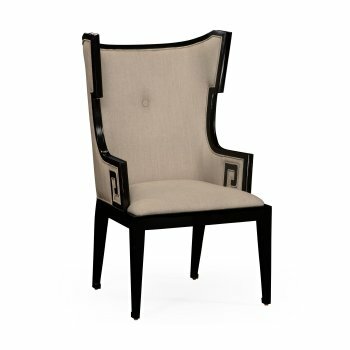 This magnificent Greek Revival Biedermeier style black painted Designer Dining Armchair, Wing Chair would make an excellent addition to any dining room or living room. 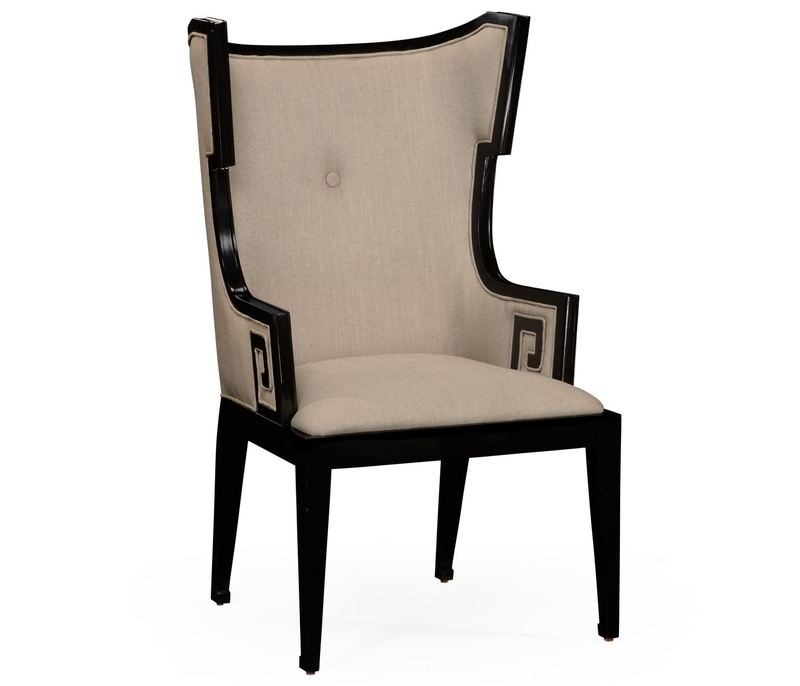 The Classic Biedermeier style Dining Chair or wing chair features full upholstery, painted formal black finish, and the Greek key pattern arms details. A striking statement piece! 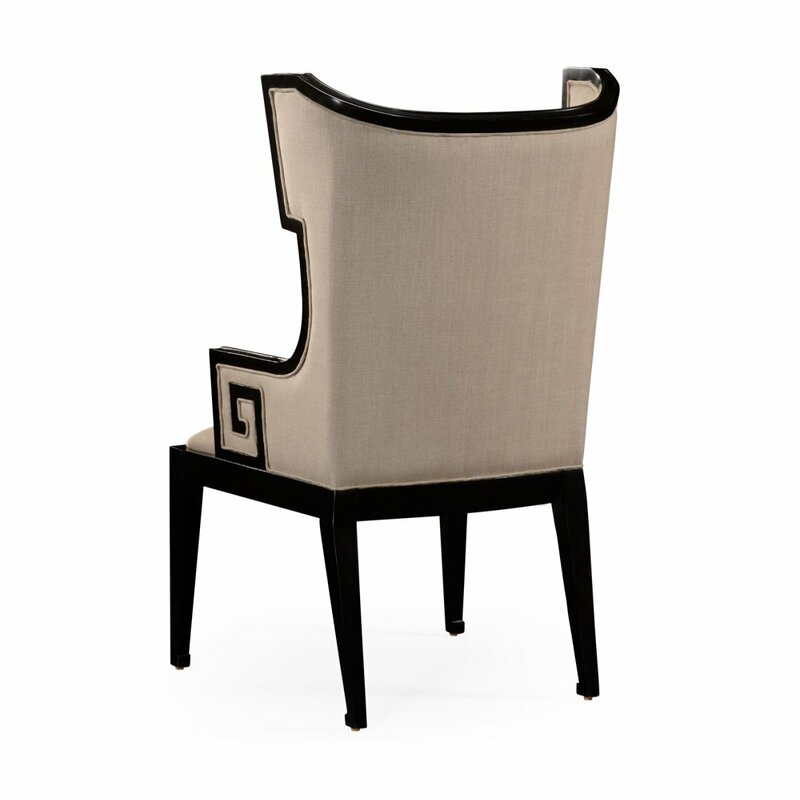 Inspired by designs of the early 19th century. 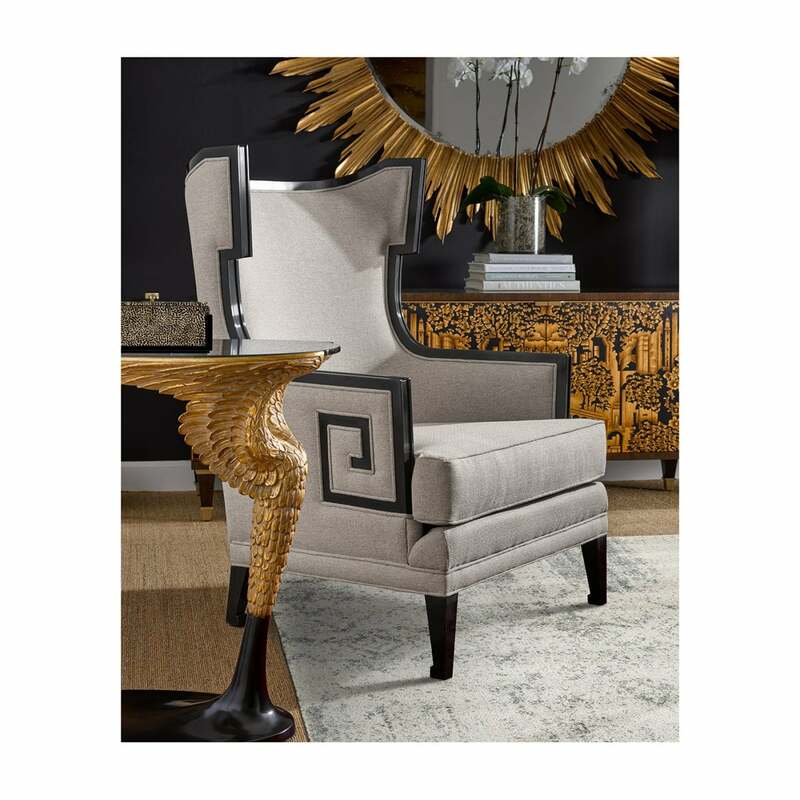 This fantastic Designer Armchair is an ideal choice for anyone seeking traditionally splendid, classy furniture piece that benefits from the strength and practicality of the classic design. 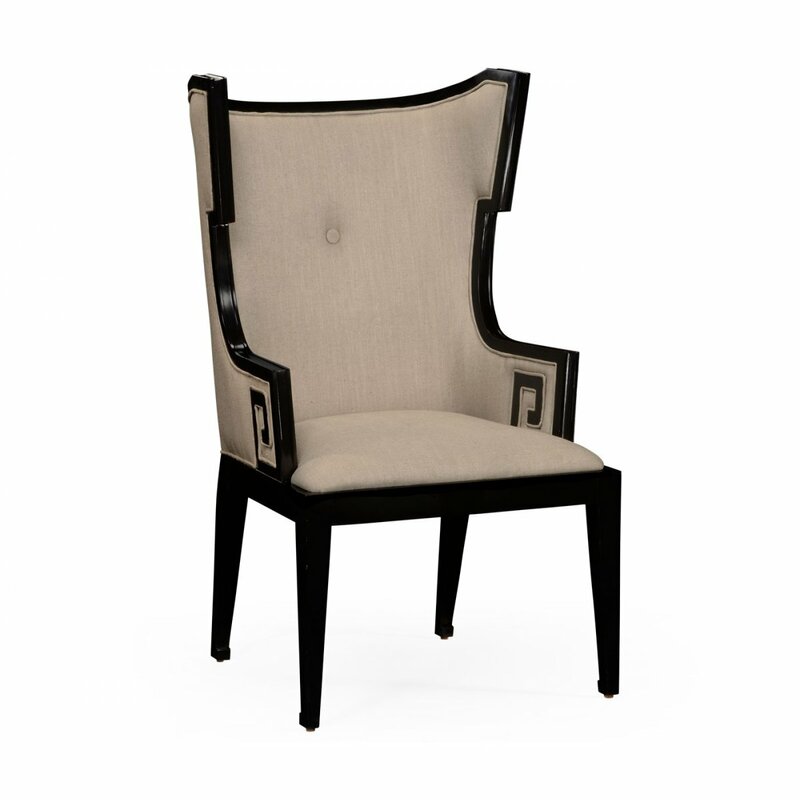 This Stylish Jonathan Charles Upholstered Dining Armchair, Wing Chair has been manufactured to very high standards, ensuring dependability and a long lifespan. 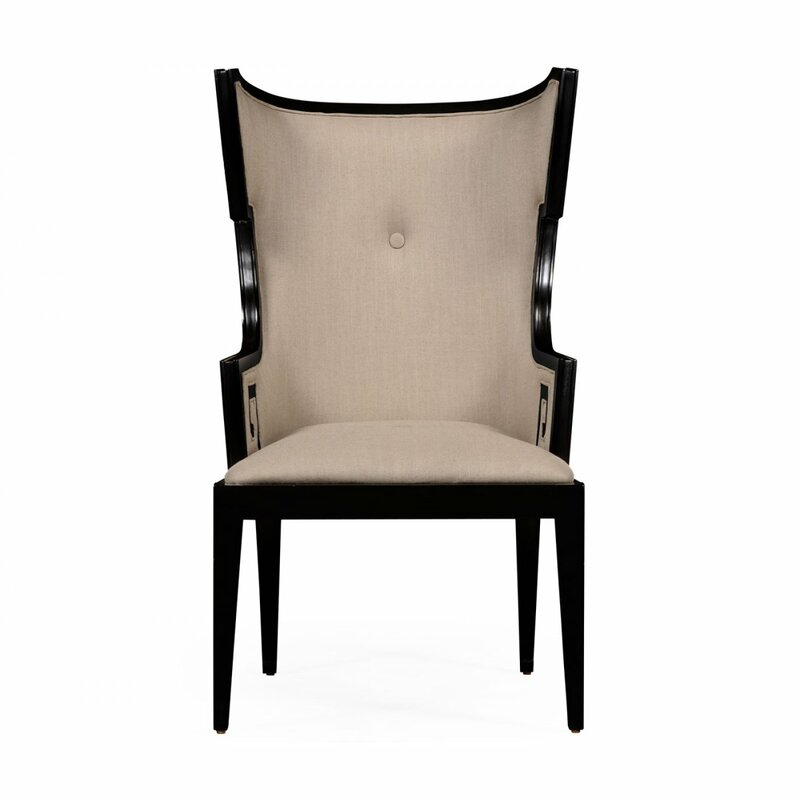 A set of these classy upholstered dining chairs will undoubtedly transform your dining room! Matching Jonathan Charles Upholstered Dining Bench available separately. 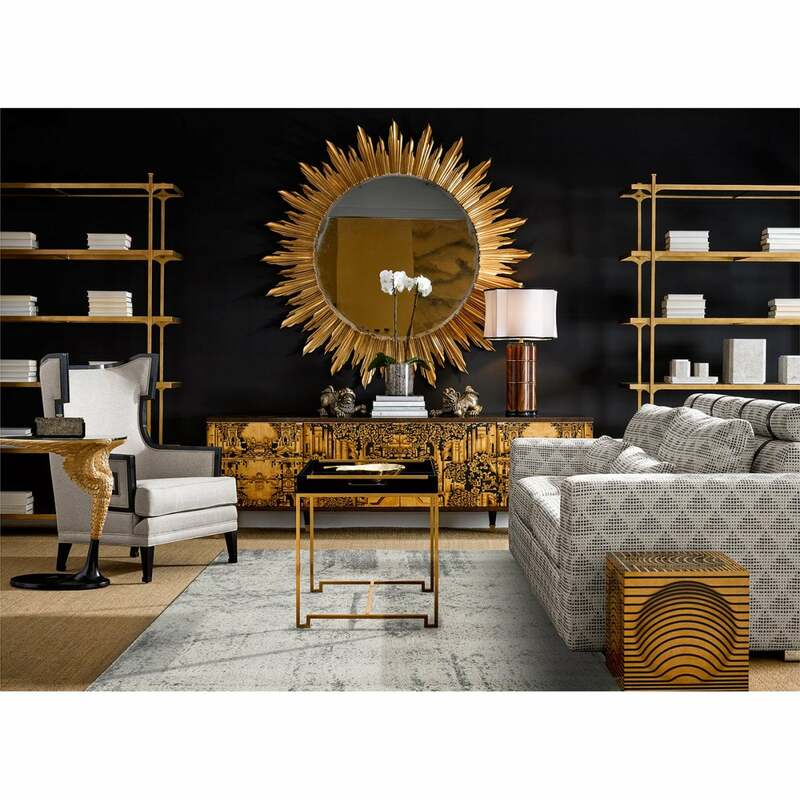 Coordinate with other furnishings from the Jonathan Charles Windsor collection.